The 2014 DC Labor FilmFest wraps up tonight with the 7:30p screening of Burn: One Year on the Front Lines of the Battle to Save Detroit at the AFI in Silver Spring, MD. Email streetheat@dclaborarchives.org for free passes! 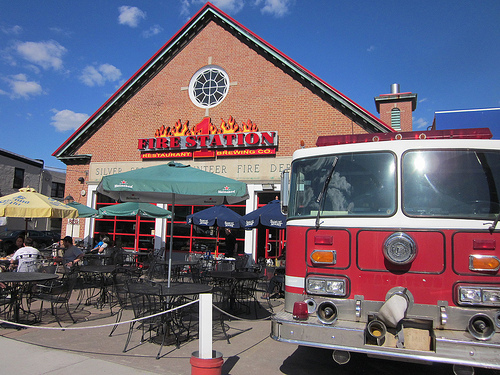 PLUS: the Fire Station 1 restaurant -- owned by a retired fire fighter -- is offering drink specials from 5:30-7:15p in honor of the screening: 8131 Georgia Ave, Silver Spring. Through the eyes of Detroit firefighters charged with the thankless task of saving a city that many have written off as dead, BURN tells the gripping story of a city struggling for survival. The film follows the crew of Engine Company 50—one of the busiest firehouses in America—who believe in their city and are attempting to make a difference every day. A story of human struggles, hope and personal courage in the face of overwhelming odds, this documentary puts the spotlight on those who have the vision and the heart to bring a forgotten American dream back to Detroit. 7:30p; AFI, 8633 Colesville Rd, Silver Spring. Hosted by IAFF Local 36.